Mexico City: Lewis Hamilton has no intention of easing up this weekend as he seeks a mere top-five finish in the Mexican Grand Prix to clinch his fourth drivers world title and a place among the greatest drivers in Formula One history. The arguments over his status have grown in volume as the months have passed this year, but they reached a new crescendo this week in the days following his ninth win of the season at last weekend’s United States Grand Prix in Texas. His Mercedes team chief Toto Wolff declared him to be on course to become “the best driver that has ever existed” while veteran Brazilian Felipe Massa, who missed out on the 2008 title, when Hamilton stole it from with a passing move at the final corner of the decisive Brazilian Grand Prix, said that he already ranks him alongside Michael Schumacher and Ayrton Senna. Another title triumph will lift him clear of Jackie Stewart, on three championship wins, as the most successful British driver of all time, drawing him level on four with Alain Prost and his current rival Sebastian Vettel. Ahead lie only seven-time champion Schumacher and five-time title winner Juan Manuel Fangio. 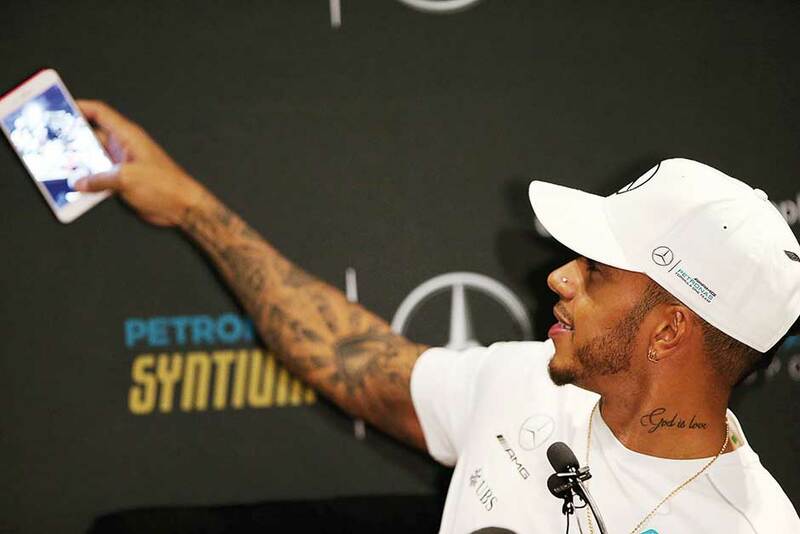 Hamilton, however, has been keen to avoid the hype and says his mind is on winning this Sunday’s race in front of a passionate and raucous crowd at the Autodromo Hermanos Rodriguez. His caution is understandable as he and Mercedes know that despite the long straights and slow corners, the thin air at an altitude of 2,250-metres will help deliver a contest that may play to the strengths of rivals Ferrari. Mercedes will run with a high down-force set-up, as might be used in Monaco or Budapest, two circuits where they struggled this year, and this is the cause of their concerns. Vettel, despite trailing Hamilton by 66 points and needing a huge shift in form and fortunes, will not abandon his hopes of stopping the Englishman’s immediate triumph. But, as Massa put it, if anyone can win more or less anywhere in any conditions, it is Hamilton who has reeled off five wins in six races since the European summer. “He is definitely one of the best drivers in the history of Formula One,” said the Brazilian. Wolff, a demanding team chief who has seen Hamilton add consistency and discipline to his unmatched talent for raw speed and aggressive racing, was even more fulsome. “Lewis is about to break all records that have been set in Formula One and it is just a matter of time that people will say he is on track to being the best driver that has ever existed,” he said. Hamilton has attributed his rise to “another level of driving” to two main factors. The first was the retirement of long-term teammate and rival Nico Rosberg after he won the drivers’ title last year and the second his switch to a vegan diet. “In hindsight, all things happen for a reason,” said Wolff, as his team celebrated four consecutive constructors’ title triumphs last weekend.